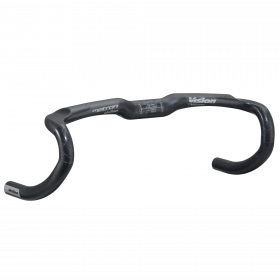 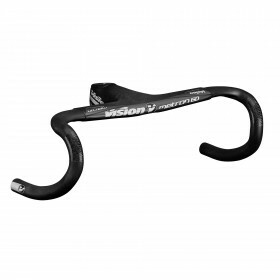 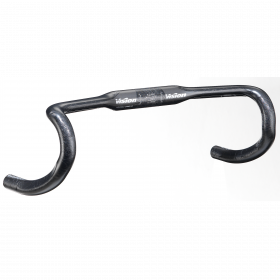 The Vision Metron 4D road handlebar is designed with aerodynamics and comfort in mind. 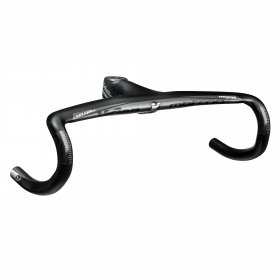 Mixing aerodynamics and ergonomics, the unique shape of the Metron 4D includes our Aero-Ergo central section. 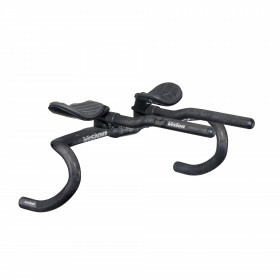 With a slight rise from the stem clamp and a 10 degree forward bend, the 4D accommodates the natural position of your arms for more comfort and easier breathing, while the wing-like shape of the bar top aids aerodynamics. 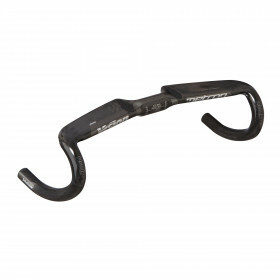 Reinforced carbon fiber construction gives a great strength-to-weight ratio. The 4D features internal cable routing, with guides that accommodate wiring for electronic shifting.